Truly a necessity when it comes to entertaining, this ottoman is made for living. Serve drinks and hors d’oeuvres on the sturdy and functional tray while creating an inviting center to your gatherings. Part coffee table, part footrest, this unbelievably versatile piece can also be used as occasional seating. 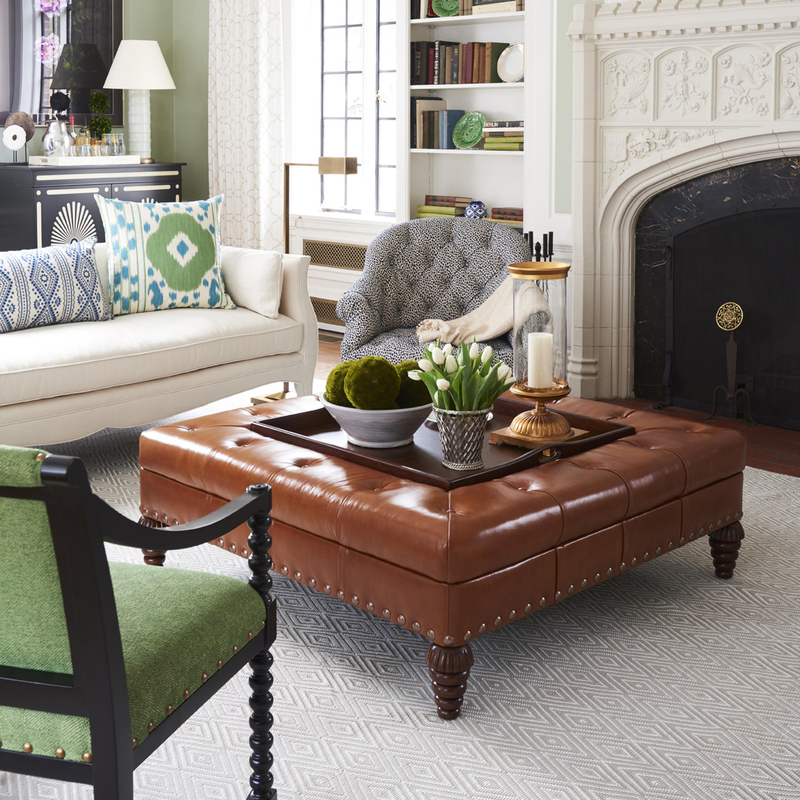 Detailed with button-tufted upholstery, painstakingly hand-carved wood feet and a chic French nailhead trim. Minimum 5 yards COM or 75 Sq. Ft. required.